"Highly recommended as a preferred supplier.We will be hiring again in May/June/July 2019.I wish you all well for your future continued success.Best wishes,Phil"
"Affordable, excellent equipment easy to use and nice people to deal with, highly recommended." "Excellent service and kit. " "The service that Radio Facilities provided to us has been exceptional from start to finish. We have been delighted not only by the fantastic prices that we were able to hire equipment for, but more importantly the high quality customer service that we have experienced. Every communication we have had with the company has been friendly and professional and nothing has been too much trouble. As a membership body in the performing arts sector we will be recommending Radio Facilities to all of our members and associates as we cannot give them high enough praise! " "Always delivered on tine and very helpful"
"Totally pleased with the service and equipment we hired. The communication was excellent and very helpful. " "Brilliant. Top notch customer service." "Very slick and efficient service. The radios were great quality and perfect for the job and arrived in high quality pelican case which suited the outdoors greatly.I would definitely recommend using Radio Facilities for your communications requirements." 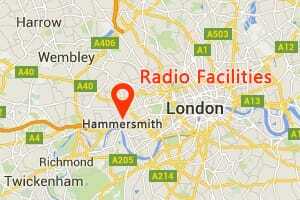 "It was a last minute request to Radio Facilities after our current supplier had let us down. All packed when we got there to collect after only 2 hours notice Thanks very much"
"Great equipment, prompt approach and outstanding customer service. Happy to use them again in the near future. " "Needed some equipment urgently on the same day,Graham arranged this and stayed at the office until the equipment was collected, excellent service." "The radio system was everything we expected. Great service, answered all our questions and tried to help optimise the the kit for us. " "Easy service and a great product. Will definitely use again. " "Graham and Andrew were very helpful and flexible in dealing with our hire. They provided expert advice on the equipment ensuring our event was successful." "All equipment arrived as per order and was in full working order.Thank you for your help." "Super efficient and simple to use. Everything was of a high standard. Many thanks"
"This was the second year we have hired radios for our annual village fair. Ordering, delivery and collection all worked like clockwork and the equipment was all charged up and well packed. Great service"
"Great service, made it easy for me to hire. Thanks,"